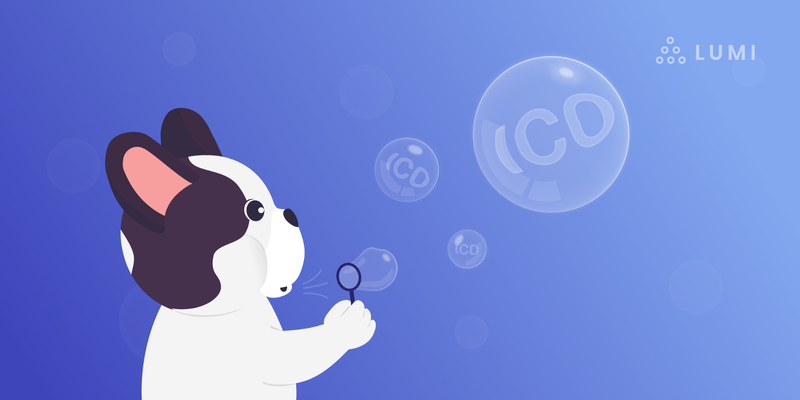 In the last couple of years, ICOs have made such a splash that even people who are far from the industry seemed to have formed certain opinions about them. Unfortunately, these opinions were mostly negative. What started as a revolutionary way of raising money for startups, has slowly boiled down to something shady and dubious. The hype surrounding blockchain (not without the help of ICOs) has led to some rather disappointing consequences. In fact, a number of companies are even dropping the term ‘blockchain’ these days, expecting to be treated differently. But are ICOs really that bad and counting their last days, or is it just a first step in a long run? ICO — initial coin offering — is a crowdfunding project in the area of cryptocurrencies or blockchain in general (at least it should be related to these areas). While running an ICO campaign, a company issues their own currency and sell the tokens to anyone who wishes to invest. A vast majority of the projects are about issuing their own currency but many companies have completely different goals and after the end of the ICO the tokens are usually listed on popular exchanges. Those tokens can be sold or held depending on the preferences of the investor. ICO tokens can be used as equity or to get access to a particular service of the project. One of the first most famous and most successful ICOs was held by Ethereum, who managed to raise 3,700 BTC during the first 12 hours and $18 million in 1.5 months in total. But the real ICO madness started in 2017. The amounts of money companies raised seemed almost unbelievable. Sirin Labs raised $157 million, Tezos — $232 million and finally, Filecoin managed to raise $257 million. Those are only the top ones from a long list of campaigns with a total amount of more than $5 billion. It was no surprise then that it naturally caught the attention of scammers and freeloaders worldwide. According to research done by The Satis Group, 80% of ICOs that took place in 2017 turned out to be a scam. That number is truly incredible. Pincoin and IFAN are two iconic examples: infamous $660 million ICOs that were supposed to be humble startups from Singapore and Dubai. In reality, they were actually run by a Vietnamese company that claimed they were just representing these projects in Vietnam. After profiting at the expenses of 32,000 investors, these companies mysteriously disappeared. When you come across a project like Pincoin which promises that you’ll get forty percent monthly returns, shouldn’t that sound an alarm? It’s no wonder that as a response to the series of scams a project like the Useless Ethereum Token appeared. A lot of people investing in ICOs were clearly chasing rainbows. If you’ve been crypto-curious for a while, you should have come across bitcointalk. Apart from being the largest and most important forum about crypto, it is also the number one platform for ICO presentations. Many forum threads warn people about possible scams giving advice on how to choose a proper project for investment and avoid exit scams. These tips, however, are either too obvious, way too general, or simply naive like choosing a project that has famous people vouching for it can save you from losing your investments. Take for example Envion ICO. They managed to get a high-profile German politician to promote the project and build trust and now the founders are fighting over the money they’ve managed to get out of it instead of delivering what they promised. But who trusts politicians anyway? Another controversial thing about ICOs is the whole new industry that rests upon them. Countless websites that look alike and that are supposed to gather all the important info, make predictions, and give professional reviews cannot be trusted either. Unfortunately, we live in a world where even high-profile reviewers can be corrupted. Not to mention those websites that were built within a day and their ‘creators’ were not really bothered to double-check the information they shared. In an attempt to quickly spread the word to the masses and do it inexpensively, a lot of ICOs run bounty campaigns. The participants are promised to get a certain amount of tokens in exchange for creating social media hype. Something like, “Retweet our post and write a comment, get a token that you might sell for a cent one day next year.” In theory, this sounds relatively fair but in practice it might have a negative effect. Some of these bounty hunters do not put a lot of effort into this type of work so one can only imagine how ‘valuable’ this fake project popularity can be. But let’s look at this from another angle. If a proper reward was guaranteed like your regular paycheck but in crypto, bounty campaigns could become perfect work providers for many freelance translators, bloggers, marketers, and developers. People cannot commit on just a whim, you have to give them security. And sure enough, there have been quite a few successful ICOs. We are not only talking about EOS or Ethereum. NEO, IOTA, NXT — these are the companies that have shown that you can develop a good product, raise the funds, and provide your investors with a decent return. However, the best advice you’ll ever get would still be to invest only as much as you can afford to lose. Currently, Europe, Japan, and the US have already started working on providing a healthy, lawful environment for conducting token sales. Surprisingly, France is aiming to become the new home for crypto startups. To disassociate themselves from ICOs latter days reputation, new projects come up with alternative approaches to blockchain crowdfunding. Airdrops can be quite useful. Although they won’t bring you immediate profit, giving your tokens away for free (usually, it’s even less than 5%) can really help with building a strong community. Another interesting alternative that was proposed by Vitalik Buterin is IICO — interactive initial coin offering. It is a dynamic participation model where the valuation of the sale reaches an equilibrium through investors placing and removing bids based on other users’ behavior. Honestly, this is just the top of the alternatives’ list and we are certain that even more effective investment models will be proposed by crypto enthusiasts in the near future. If you look into the numbers you’ll find that the ICO market is not crashing but actually getting more stable and mature. Investors stopped wasting money and became too selective. Just a pretty website and detailed whitepaper are not enough anymore. With all the upcoming restrictions and regulations, ICOs are moving east but it’s probably just a matter of time before Asian countries like Singapore review their laws and establish a cryptocurrency regulation system. The investment model that ICO projects offer is actually quite good and suits the crypto industry very well, however, all participants should be adequately protected. When the whole process is regulated on the state level and the competition gets tougher, startups will have to work hard on the quality of the products they offer. Experience is the best teacher, so in a few years, we’ll probably stop associating ICOs with scams and scandals. Go ahead and follow our other social media accounts like Twitter, Facebook, and Reddit. They are also fun. We promise! The Lumi team is always ready to hear your thoughts on almost anything (within reasonable bounds) on our Telegram public chat.